When McCoy Tyner, original member and pianist of John Coltrane’s historic quartet, was asked about his former bandleader, Tyner likened him to a Messenger of God. Coltrane proved “God still speaks to man…the music really speaks more than any of us can say”. Whilst ‘Giant Steps’ and his transformation of ‘My Favourite Things’ moved musical tectonic mini-plates, it was not until the celestial recordings offered in the latter stages of his career, did a new language of sound begin to reverberate across the sixties jazz capitals of the globe. Fast forward fifty years, and this language is still spoken, passed down through the forces of Alice Coltrane, Pharoah Sanders and Albert Ayler, arriving at contemporary beacons like Kamasi Washington, Shabaka Hutchings and countless other torchbearers who strive not in the pursuit of masterpieces, but rather seek to channel a higher purpose. New accents and dialects hold Coltrane’s spirit close, yet have taken on a more pressing significance. 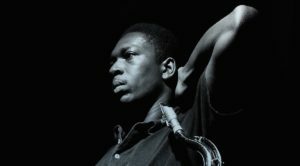 The most recent incarnation has come from the other side of the Atlantic, where London’s young & gifted next generation of musicians and artists have fused jazz-influenced structures with an electrifying array of new forms, as diverse as their backgrounds and always informed by club culture, past and present. Whilst full-lengths still await from many of these hopefuls, it’s worth peering through the vista and seeing how we’ve ended up at the doors of a musical reset. From Nick Woodmansey aka Emanative’s 2009 Space LP to Mancunian saxophonist Nat Birchall’s journeying Akhenaten, a number of devoted and like-minded players have long been operating below the radar of a contemporary British jazz music scene, earnestly crafting their unique and far-reaching compositions and developing the kind of lasting musical exchange that seems only to occur between jazz musicians. Now backed by the instrumental indie labels of Jazzman, Gondwana Records and On The Corner, a reinvigorated group search new heights of awareness and self-expression. Modal jazz ensemble Collocutor sized up the Eastern tonalities and West African rhythms of their debut LP Instead, and took them for a 360 degree round-trip across the globe on The Search, a sublime seven-track journey of cross-cultural conversation and sound. The deep and expansive range of Tamar Osborn’s baritone saxophone breathes life with every listen, as do the alternating modes of pianist and composer, Jessica Lauren’s ‘Kofi Nomad’, the opener to Lauren’s latest album, Almería, which Osborn stars on with spellbinding effect. One of Lauren’s and Osborn’s most sought-after collaborators in recent years is drummer, producer and Emanative bandleader, Nick Woodmansey. Channelling the spirits of Steve Reid’s Legendary Master Brotherhood, the wonderfully dynamic and immersive new Emanative record, Earth, brings together the seismic entities of Idris Ackamoor, Dele Sosimi and other heavyweight players of the scene in what can only be described as Woodmansey’s most cosmic and Ra-infused, interplanetary offering to date. Another of these heavyweights is Nat Birchall. The inspired saxophonist’s transcendental four-tracker, Cosmic Language, draws influence from a breadth of musical forebears including Bismillah Khan and multi-reedist, Yussef Lateef, to delve deep into the high union of jazz composition and Indian classical music, with already one of the year’s standout spiritual jazz releases. The resonating tone of Adam Fairhall’s Indian harmonium on the album’s opener, ‘Man From Varanasi’, is as righteous as Vin Gordon’s trombone on ‘Youth Iron Rock’, the first track off Birchall’s instrumental roots reggae/dub LP, Sounds Almighty, with Al Breadwinner at the controls, featuring the legendary stylings of Jamaica’s principal master horn player. 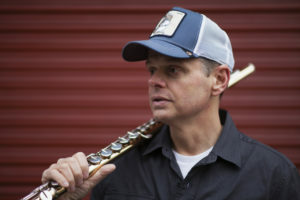 Shamal Wind, the latest record from flautist Chip Wickham, draws from an equally diverse palette of worldly composition. The Iberian-facing, excursive ebb and flow of tracks, like ‘Barrio 71’ and ‘Rebel No.23’ as well as Wickham’s pre-occupation with Arabic and North African sounds on the album’s title piece makes for a lively and recharging listen, whilst Sarathy Korwar’s Day To Day, blends jazz, electronics and traditional folk music of the Sidi community in India with dexterous touch and poise, to construct a striking, polyrhythmic marriage of disparate styles, that encompass field recordings, East African song and experimental production. 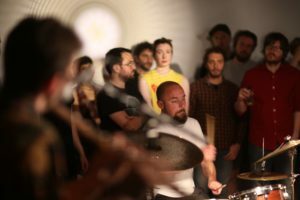 Truly free and multi-rhythmic music travels with very little caution of being charmed into an unfamiliar sonic territory, yet its ability to shine a perspective on the world that surrounds us can be at times troubling. In an age of viciously divisive politics and destructive border protection, here we have musicians that seek to disregard the squiggly lines that divide us on a map and offer a new path forward. Frontlines, drumlines, basslines that trek the musical multiverse of our very own rocket number nine, and platform a language of sound for the tomorrow people amongst us, whilst saluting the vanguard of yesteryear, are more significant than ever. In times of much needed spiritual reflection, UK’s luminary jazzers are part of a wider assembly of musicians exploring ever-higher tonal centres.